Hey yall...It's Monday. Ughhh...but I hope yall make it through the work week all right. For those of us who are putting in work. I'm mad busy today, so I'm gonna keep this short. 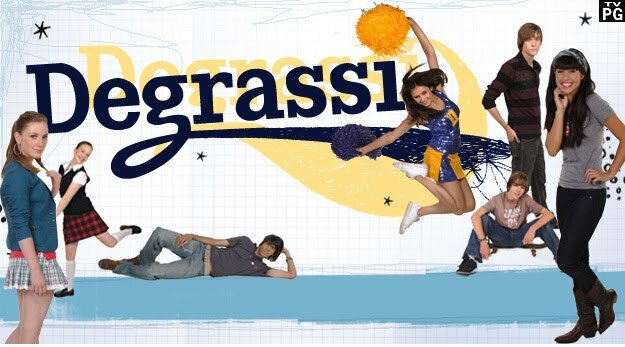 Ok, so I've been hooked on Degrassi since middle school, when a friend got me watching it. You know, when Drake was Jimmy, Marco was coming to terms with his sexuality, and Paige was the Queen Bee. Those days. Even though I'm not the biggest fan of the newest students to walk Degrassi's hallways, I still tune in. I mean, it's Degrassi. I can't not watch. So the 10th season premieres tonight at 9 p.m. ET on TeenNick. New episodes will be airing four times a week for six straight weeks. And I'm kinda excited. It's "The Boiling Point," apparently so there will definitely be high drama. I must say, I'm impressed with the writers on this show. Every time, I think that I've seen it all, they always figured out something new to give the audience. Make sure you tune in tonight!